This entry was posted on September 19, 2015 by Texas Safety Supply. Impact Resistant FR Oil Field Gloves comes with maximum backhand impact protection. The pair comes with enhanced, flexible and integrated ribbed foam back pad. One layer of pure cotton cord fabric will make the wear area of the palm, index finger and thumb stronger. These gloves provide good abrasion and acts as a barrier to grime. The cotton material and clute pattern offer flexible, soft comfort. These gloves also come with enhanced thumb crotch construction, thereby offering added strength to the user. It’s knit wrist holds the glove tightly and keeps foreign particles at bay. 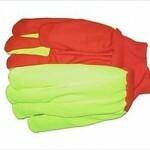 These gloves are best suited for use in rigging, oilfield, and construction. These gloves come with two layers of pure cotton fabric which strengthens the wear area surrounding the index finger, thumb, and palm. These two layer 24 oz cotton gloves have been quilted together for cushioning, insulation and long term use. It's cotton canvas fabric provides good abrasion and keeps grime at bay. It is ideal for use in industrial applications like oilfield maintenance, light fabrication, warehouse and general plant use. 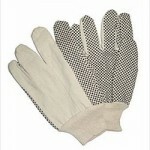 This general purpose single palm cotton canvas gloves with PVC dots is suitable for use in a wide range of applications. The pair is soft and flexible but offers wear and long term durability. Resistance to grime and high quality abrasion is ensured by the twill weave fabric. It enhances abrasion resistance and grip. 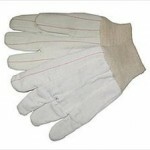 PVC Dotted Cotton Gloves DZ Small gloves are best suited for maintenance, warehouse, and general plant use.